"Something to Wrestle" podcast host's first show back is Monday's Raw. 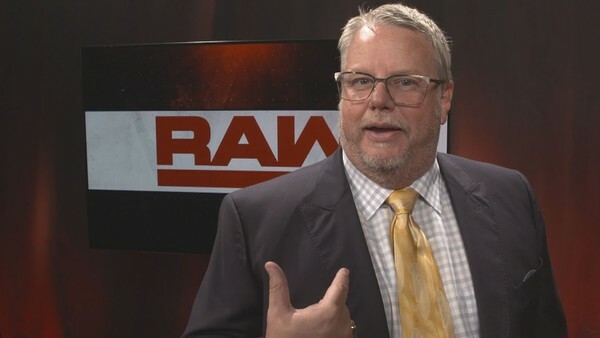 Bruce Prichard will return to WWE as an "important" full-time member of the creative team, according to PWinsider. The website notes that the "Something to Wrestle" podcast host will begin a new chapter with WWE starting from this Monday's Raw. He will reportedly return in a key role that "will be very similar to his former position in that he will be working directly with [Vince] McMahon on all things creative." Infamously fired by Stephanie McMahon in 2008 for allegedly bringing a gun to work (the story is intriguingly re-told by Prichard in a podcast that is well worth a listen), Prichard had previously served as one of Vince McMahon's most trusted insiders and with ratings down and creative clearly struggling in 2019, it's easy to see the logic in WWE going back to what they know. Prichard is a vastly experienced creative talent who worked for the company in two of its biggest boom periods (the late 80s Hogan era AND the Attitude Era) and someone who has regularly called on his podcast for WWE TV to be more exciting and unpredictable to lure back lapsed fans. Indeed, credit to Prichard's re-hiring must go to the success of the "Something to Wrestle" podcast for bringing the former "Brother Love" back into the industry spotlight. Prior to its launch in 2016, Prichard had pretty much been in the wrestling wilderness after ending a run working behind-the-scenes for TNA in 2013 (he did briefly work for them again in 2017 but it was short lived) and his reminiscing of WWE's yesteryear and the audience he and co-host Conrad Thompson had built, clearly caught the eye of WWE management. "Something To Wrestle" came to the WWE Network last year and now Prichard himself is coming home to the WWE creative team just over a year since he nostalgically returned as Brother Love for the Raw 25th anniversary show. No word on how, if at all, this will affect Prichard's weekly podcast... but clearly working for the company in a key creative role today, whilst revealing secrets of its past, will add another intriguing layer to "Something to Wrestle" and WWE TV.